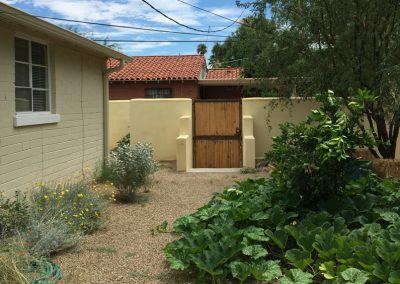 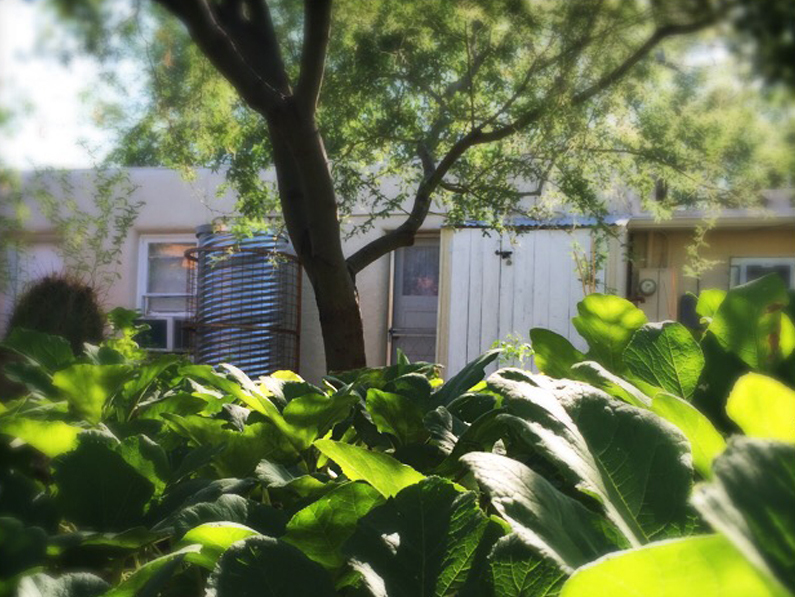 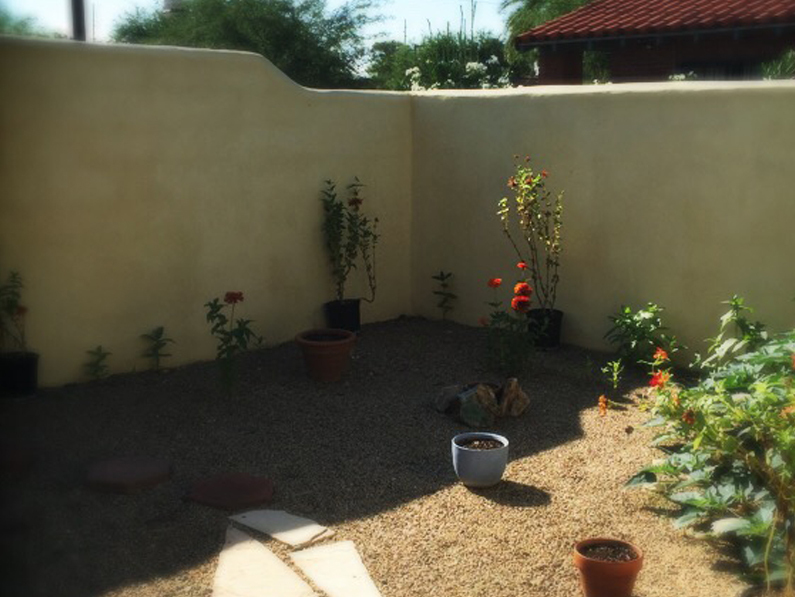 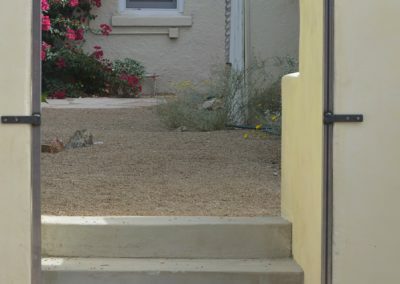 In central Tucson, the homeowners needed privacy, functional outdoor space, tenant parking and alley access. 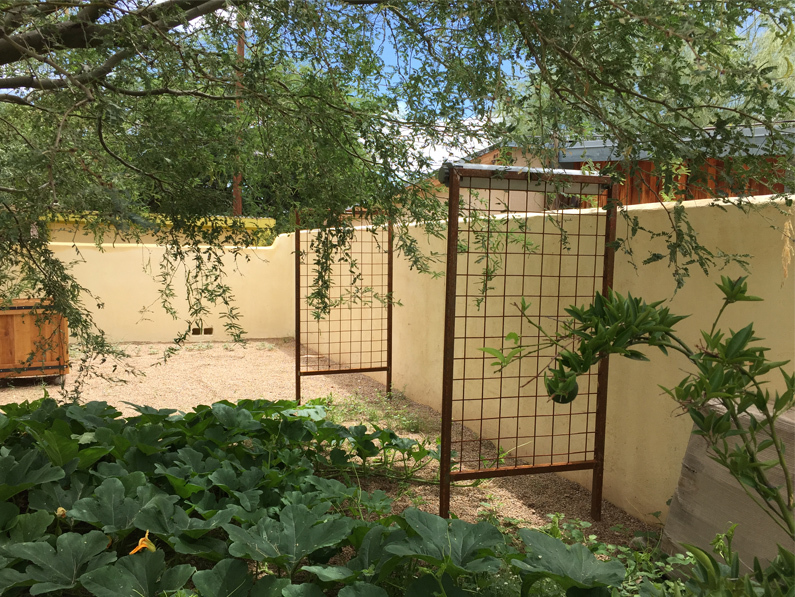 A masonry retaining wall replaced a chain link fence situated on a makeshift, rip rapped slope. 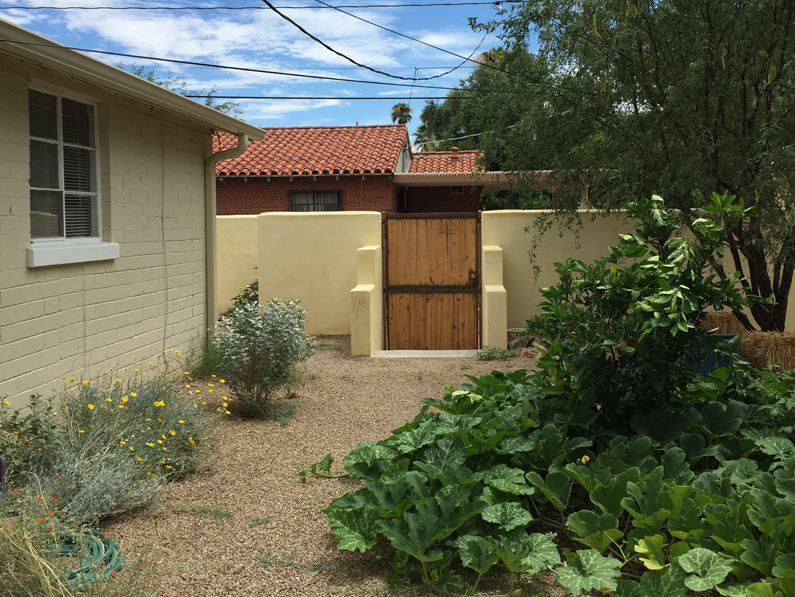 The new wall created private outdoor living for tenants, screened a shed, and secured the rear yard. 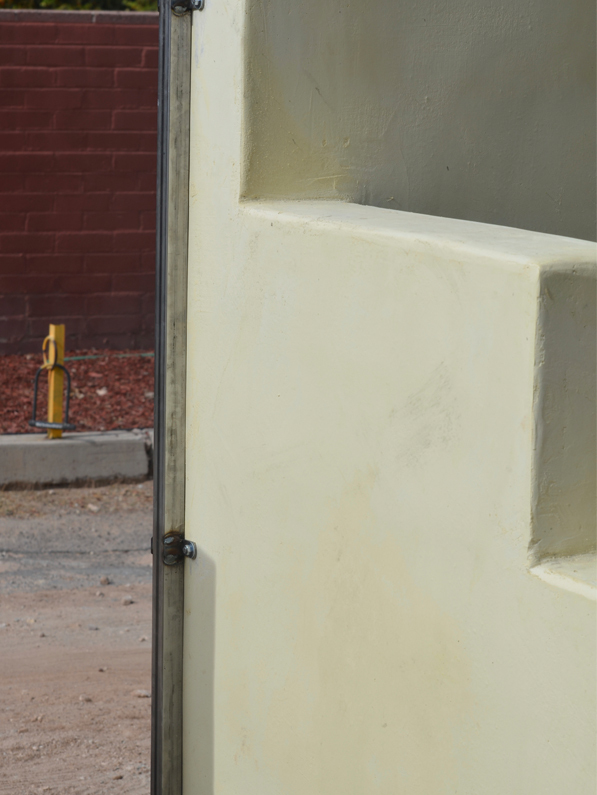 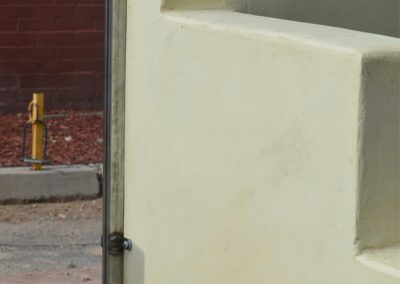 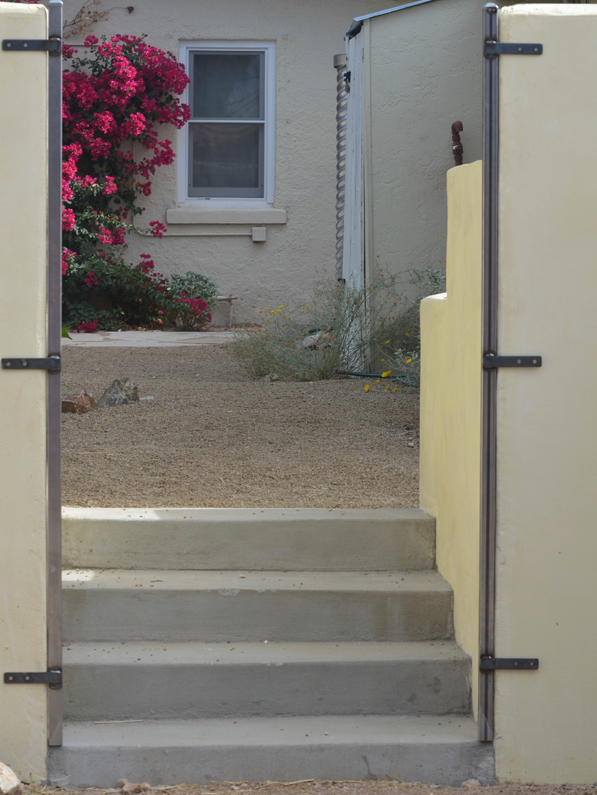 Steps and a custom lockable wood and steel gate provide alley access to a parking space. 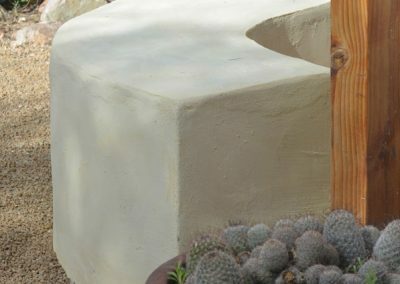 Active and passive water harvesting elements were existing and included basins, cisterns, and in ground tanks. 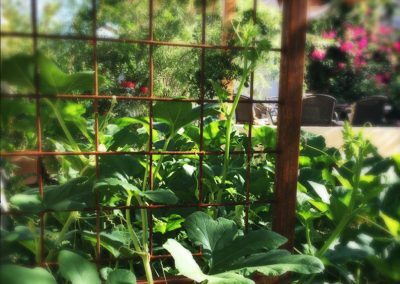 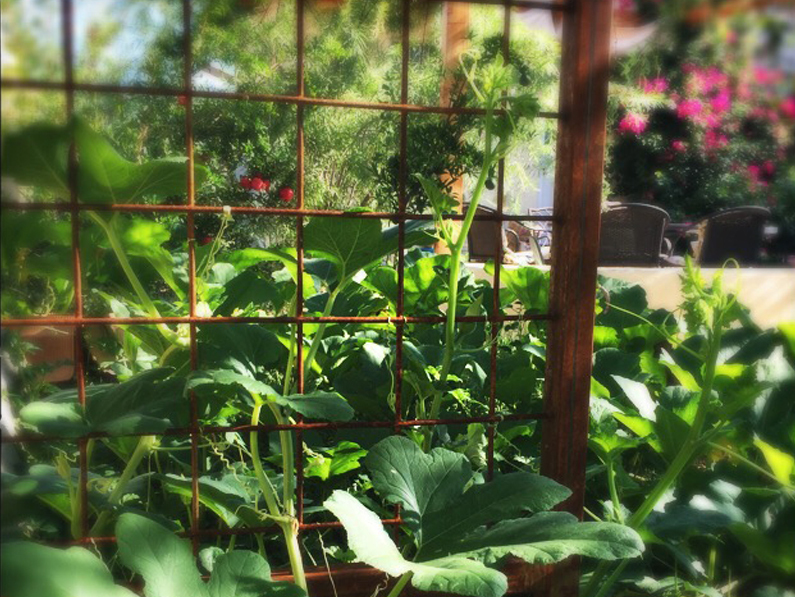 A custom steel trellis planted with a vine provided sun protection for the west-facing cistern. 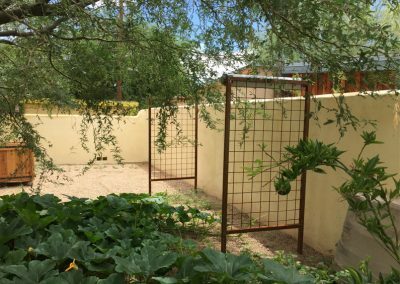 Two trellises mirroring each other served as the support for a retractable clothesline and vegetation that screened drying clothes from the small flagstone dining patio. 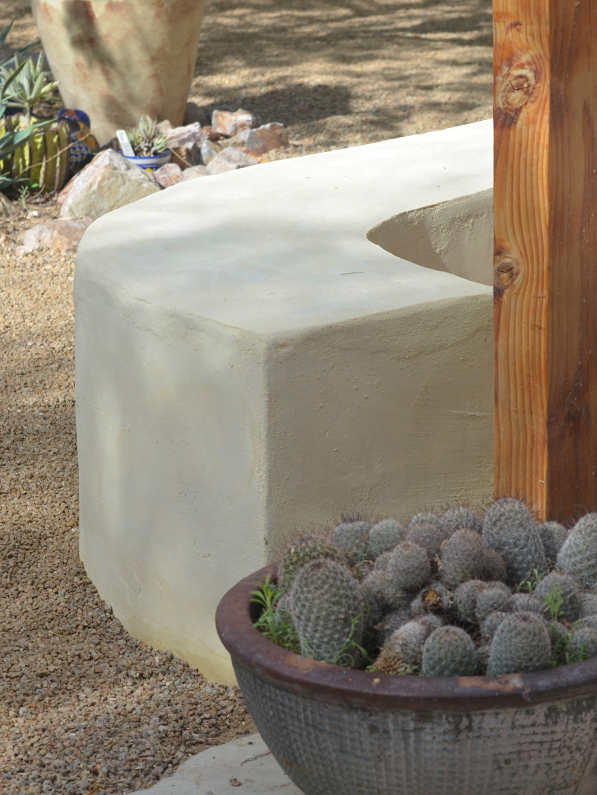 Additional site elements include a seat wall, custom rattlesnake bike rack and a fire pit for cool desert nights. 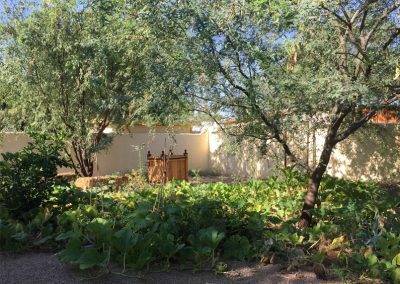 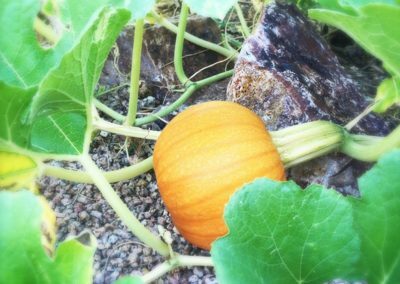 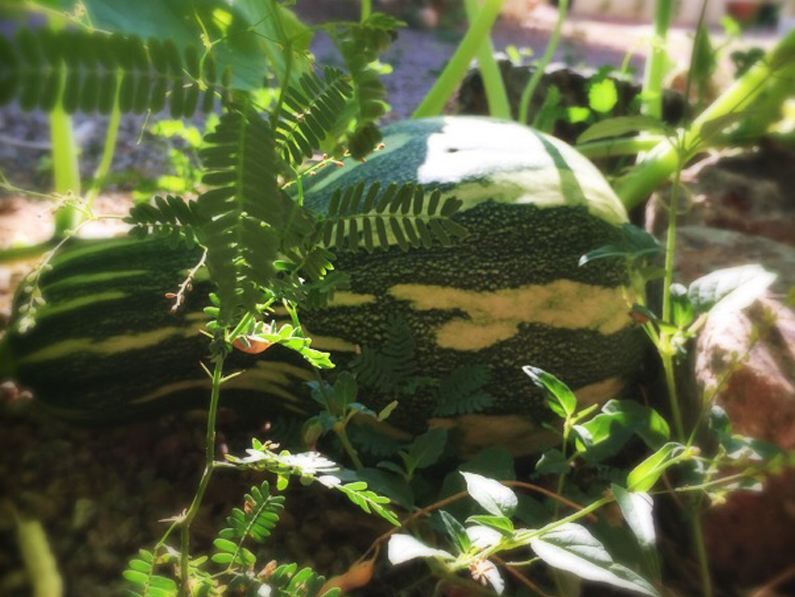 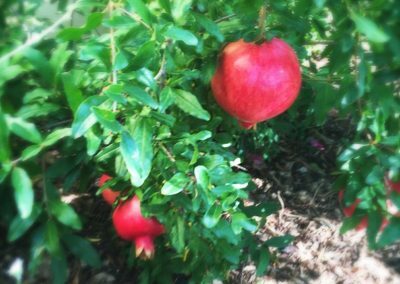 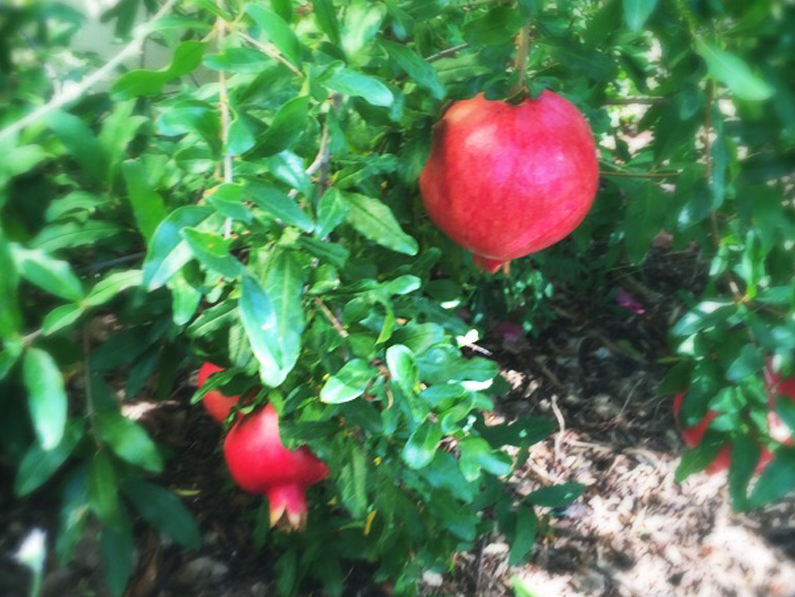 The overall design complements an abundance of fruiting trees, in-ground garden beds, potted cacti and a gorgeous Native Mesquite. 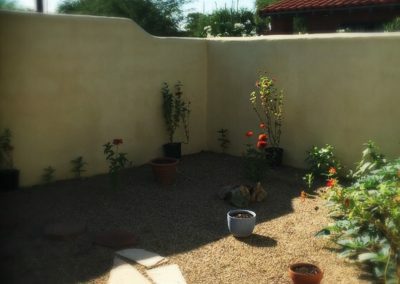 It is truly an oasis in the desert.